Hearts are going great guns this season and they can stay top of the Ladbrokes Premiership with a win at Motherwell. Craig Levein has yet to decide whether he will return to the dugout after a health scare, but they put in a performance to raise his spirits when they destroyed St Mirren at Tynecastle in their last game. Levein completely rebuilt the Jambos after last season's dismal effort, bringing in an astonishing 17 new players this summer. They now have a physicality they had been missing and an eye for goal. No trip to Fir Park is easy, especially with Motherwell's usual strong-arm approach, but Hearts are unlikely to roll over in Lanarkshire. 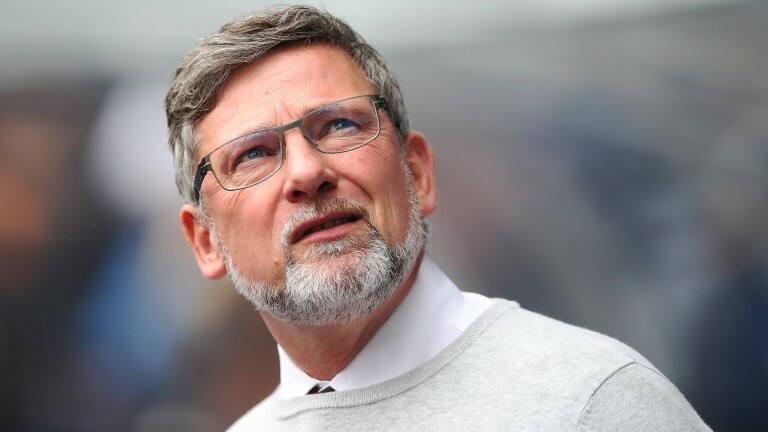 Last season, Hearts had an abysmal away record, but Levein has addressed that too. And whether or not he is there to witness it, the capital side can get another three points at Well. Ayr United's fantastic start to the season came to a shuddering halt in their most recent Ladbrokes Championship game when they were smashed 5-0 by a Stephen Dobbie-inspired Queen of the South, but they can show that was a blip by beating Falkirk at Somerset Park. The Honest Men had been the surprise package in the league until the wheels came off in Dumfries. But they should have enough to regroup and beat a Falkirk team in disarray. Falkirk have just snatched Ray McKinnon as manager from Morton, but he is working with a squad who look like they will struggle to stay in the division. Last week's defeat to Welsh side Connah's Quay in the Challenge Cup proved he has a lot of work to do. Falkirk have no points and have managed one goal in four league game so United should fancy their chances. Edinburgh City can continue their great early-season form with a win against Annan Athletic at Ainslie Park. City, who entered the Scottish League only two years ago, are top of Ladbrokes League Two after wins at Peterhead and Clyde. Blair Henderson already has nine goals this season and they are tight at the back with ex-Kilmarnock and Partick Thistle stopper Conrad Balatoni blending in well. Annan have started their campaign well too, but City look decent value to get the better of them.